It’s ironic how “crazy” is so relatable. This has to be one of the most well-made, touching, and beautifully realistic films of the year. Landing in over eight months of rehab after he almost beats his wife’s “romantic partner” to death, Pat Solitano (Cooper) moves back in with his parents: his Philadelphia Eagles obsessed father (De Niro) who believes in good lock and his son’s juju and his supportive, yet concerned mother (Weaver). To keep up his good physique and hopefully win back his wife, Pat runs around the neighborhood in a garbage bag (to sweat). He appears crazy to the nosy onlooker and due to his unstable health and undiagnosed bipolar disorder he is forced to attend therapy and take medication. Everyone walks on tiptoes around Pat, afraid he will breakdown again at any second. However, despite the fact that Pat talks “without a filter” and seems to be walking on thin ice, his supportive hometown friend Ronnie and his wife Veronica (Stiles) openly invite him to dinner. From there, Pat meets the depressed widow Tiffany (Lawrence) who has a reputation as the town whore. Pat sees past Tiffany’s character flaws and Tiffany desperately tries to save Pat from collapse. The dance we take in life is beautifully choreographed, but at the same time there are mistakes. 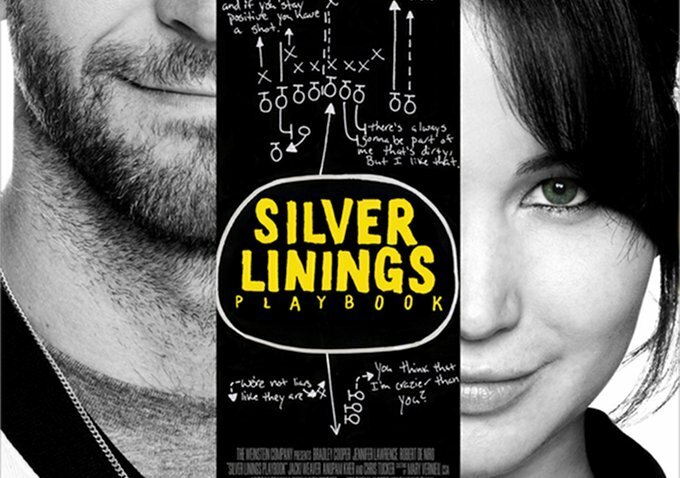 This film highlights on those by being a raw gripping character drama, but also a comedy…and that is the film’s silver lining. It’s in these moments of great distraught that we have to find our joy. As Pat’s therapist suggests, it’s our “strategy” for coping with life. The reason that this movie is so powerful and recognizable (aside from the incredible performances of the cast) is the fact that it’s grounded in reality. We appreciate our family for all of their quirks and every Sunday is the start of a whole new week and we cheer for a victory. I was so disappointed with the wasted potential of Abraham Lincoln: Vampire Hunter that I thought I might give this one a try. The politics, the drama, the war could make this an outstanding movie (or a miniseries, please) that could be both entertaining and educational. This was an in-depth look at the man, but not so much the time. This movie was superbly researched and the attention to detail is astounding. Daniel Day-Lewis was perfect for the part, getting away from the deep baritone voice and robust physique. However, a lot of the film was rather dry, which could hinder its acceptance by the mainstream. Lincoln himself had a story for every situation, and there was comic relief when a man ran away rather than listen to him. But for a time when the country is literally torn apart and brother was fighting brother, it is almost shameful to not show really any battle scenes. The focus was on passing the 13th amendment, emancipating the slaves, through the House of Representatives. There were no horrors of slavery depicted, and in fact they were quite separated from it. There was no sense of urgency, no bloodshed. People should see this movie because it’s an important part of American history. It’s very dramatic, but has little bits of humor. 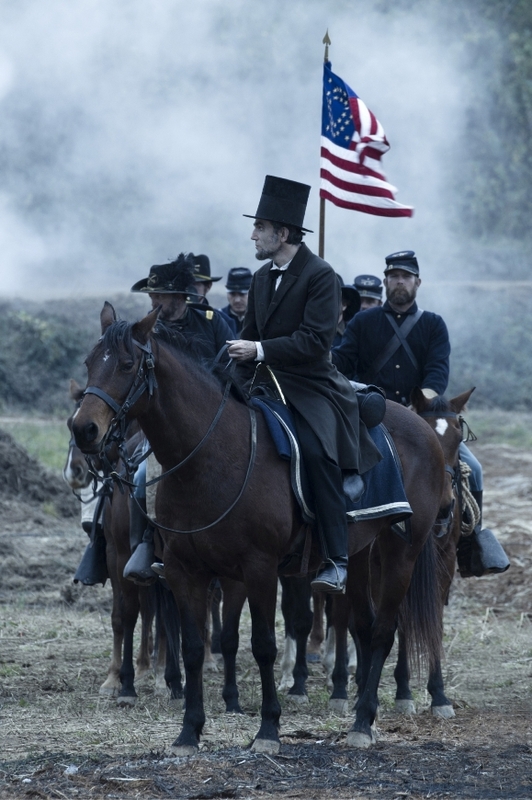 It shows Honest Abe as a man – flawed and imperfect – doing what he had to in order to end both the war and slavery. I just wish there was a little more outside of him and the House of Representatives – a little more drama, a little more necessity. I haven’t expressed my fondness for Project X yet, but I will express it now. Yes, it is a movie about partying, drinking, and nerdy kids attempting to have a “cool kid” kind of time. But… it is so socially-relevant to our generation, so ridiculously entertaining, and so expertly-done with Steady Cam that it is escalated from cliché party movie to something a little more. I am not saying your life will be changed, but I bet if you watch this movie with a group of your party animal friends you will feel a weird euphoria, or present nostalgia. The movie wants to have a fun time and knows that a generation obsessed with exams, tough career choices, and the pressure of the future want to feel the same thing. The director of The Hangover Todd Philips produced Project X and the writers of The Hangover Jon Lucas and Scott Moore are presenting 21 and Over, a comedy set for release March 1, 2013. This film centers on a promising student who, the night before his big medical school exam, celebrates his 21st birthday with his friends. I’m sure we can imagine that extremities will occur. I have hopes that this movie will be more than just raunchy humor and hijinks. There was a beating heart in Project X and I am hoping for the same in 21 and Over. I love movies that are bizarre, twisted, and visually-amazing. That is why I am pretty excited to share this trailer for the movie Holy Motors debuting November 9. The movie is kind of mysterious but it appears to be about transformation and comes from French director Leos Carax. The cast includes: Denis Lavant, Edith Scob, Eva Mendes, and Kylie Minogue.